I like to create things on the fly, but this time I took some time out to write down what I was creating. This is my first written pattern and it’s been tested by someone who has been crocheting for several years and someone who is fairly new to crochet but has been knitting for years. I love cables in knitting, but my knitting skills aren’t quite up to par yet. 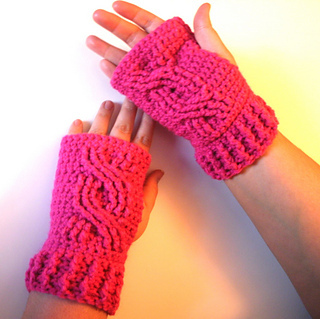 When I found out that cables could be in crochet too, I was beyond excited. I’ve been working on my crochet cables for quite some time and wanted to share the fruits of my labor. Really, any worsted weight yarn should work with this pattern. 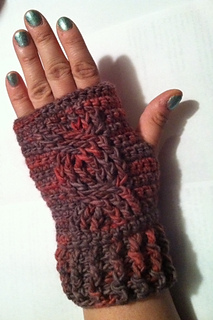 As I was writing this pattern I used Red Heart Super Saver and one of my testers used Red Heart Boutique Yarn. You will also need a tapestry needle as well to sew and weave in edges. 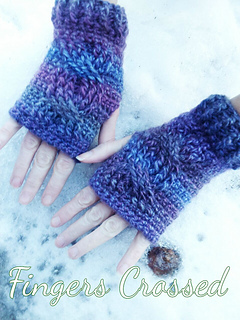 I’ve included several pictures to make crocheting this pattern easier. Please feel free to email me @defysocietyarts@gmail.com if you have any questions and I will do my best to assist you.